Its been more than a month now since LibreOffice 5.0.4 has been released and is now available for download and upgrade. LibreOffice is a free and open source office suite, an open source alternative to Microsoft Office developed by The Document Foundation available for different Operating Systems like Microsoft Windows, Mac OS X, and Linux. Originated from OpenOffice.org in 2010, it is now the most widely used office suite for Linux users. The LibreOffice suits includes word processor, spreadsheets editor, slideshow creator, diagrams and drawings creator, database and mathematical formula support. LibreOffice is available in 110 languages and is compatible with other office suites like Microsoft Office and OpenOffice.Org. So, before we see how to download and install LibreOffice in your system, lets see what is the system requirements. LibreOffice 5.0.4 is the latest release which includes bugs fixes from the last release is much more stable. Microsoft Windows XP SP3, Vista, Windows Server 2008/2012, Windows 7/8/10. 1.55 GB of free storage. Open the installer by double clicking it, and follow the steps through the set up. The typical set up will install the default components including user interface languages and spelling dictionaries matching your current language settings. In Custom Installation, you can choose the program features you want to install and the path of installation. In the File Type dialogue box, you can choose the LibreOffice to be the default application for Microsoft Office file types. Click on next and Finish. You have now successfully installed LibreOffice in your Windows PC. Double click the .DMG file. There is an installation window, drag and drop the LibreOffice icon to the Applications folder. The installation will proceed further and notify you when completed. You will have a .tar.gz archive. Right click on the downloaded archive and select "Extract here". Open your terminal, and navigate to the directory where you extracted the archive. 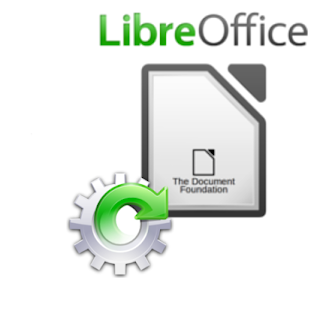 Help needed: I'm need of LibreOffice screenshot for different Linux Distributions. Please mail me at bloggingwithmb@gmail.com. Sharing is caring!